Image Credit: Tony Dyson via Facebook. One of the most iconic non-human characters in movie history, R2-D2, was the handiwork of many people. 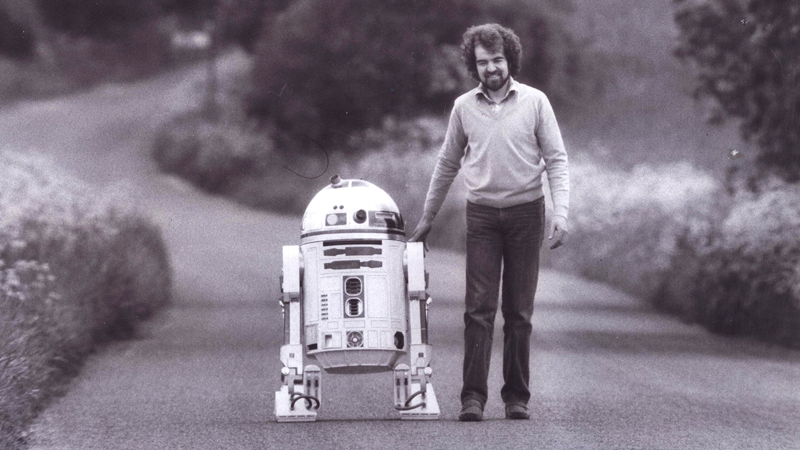 Beloved concept artist Ralph McQuarrie designed him, Kenny Baker helped bring him to life—but it was Tony Dyson, who passed away today at the age of 68, who had the daunting task of building Artoo as a real life droid. In the 1970s, Dyson owned the White Horse Toy Company in the UK, and had worked uncredited on films like Moonraker, Superman II, and Dragon Slayer as an effects supervisor. When George Lucas began production of Star Wars in the country, he tapped Dyson to bring McQuarrie’s artwork to life. Dyson modeled the building process on the same technique his toy company used to mold rocking horses. He built eight droids for the franchise, including multiple remote-controlled versions, two versions that Kenny Baker could sit in and operate, and a throwaway model for Empire Strikes Back that was hurled into the swamps of Dagobah. Later on in his life, Dyson turned his focus to artificial intelligence and robotics, building bots for Sony, Toshiba, and other electronics companies. Dyson was immensely proud of his work on Star Wars, and even set up an R2-D2 builders club in the UK so fans could craft their own astromechs. (Although, the always litigious Lucasfilm mandated that he couldn’t build them to the exact specifications from his designs used in the films.) It’s the same club from which two designers were selected to build the R2-D2 prop for The Force Awakens, ensuring Tony’s legacy in the franchise will live on forever.